Police have identified the suspect who they believe crashed a wedding last weekend in Lower Gwynedd, Montgomery County and made off with thousands of dollars worth of wedding gifts. 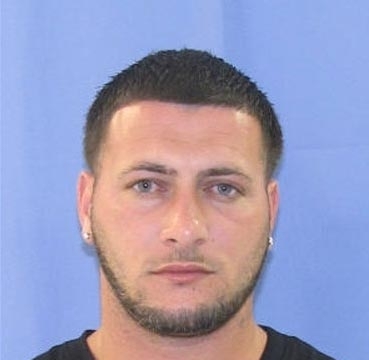 Authorities are searching for 35-year-old Joseph Patrick Franzone, Jr. At the end of the reception at the William Penn Inn, the groom's sister began to move presents to the car leaving the cage with all the cards in the backseat. The next time she returned a couple minutes later it was gone. Surveillance showed Franzone casing the party all night. He was identified by tips from the public. Anyone with information on Franzone's whereabouts is urged to contact Lower Gwynedd Police at 215-646-5300. A partial collapse of building at Temple University left one worker injured this afternoon. It occurred at the new Science Education and Research Center building that is currently under construction. A steel beam and corrugated floor of the 8th floor collapsed onto the floor below. Six workers were underneath structure when it gave away. One of the workers suffered a leg injury and had to be taken to the hospital by responding paramedics. There is no word on what caused the accident. Pennsylvania Attorney General Kathleen Kane said today at a press conference at the National Constitution Center in Philadelphia that she will not defend the state in a lawsuit brought by the ACLU challenging PA's 1996 version of the Defense of Marriage Act. Normally, under PA state law, it is up to the Attorney General to defend the constitutionality of the state's laws. However, lawyers for the governor or executive branch can also defend a lawsuit. It is now up to Gov. Corbett's office to determine how to proceed, but it is likely Kane's stance today was merely symbolic to show her personal views, and the lawsuit will continue as normal.